First up, Nintendo is once again teaming up with Tecmo Koei, and this time with the team that does the Dynasty Warriors game. The game: Hyrule Warriors. This time instead of taking out large waves of enemies as Lu Bu, you play the role of Link slaughtering waves of Hyrule’s known enemies. 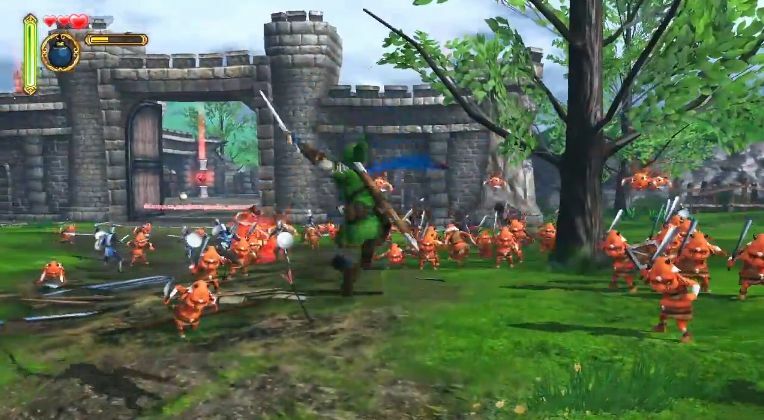 Link will also have some special moves at his disposal, similar to the cast of Dynasty Warriors. The soundtrack is also donning a more rock inspired influence. Satoru Iwata stressed that Hyrule Warriors is NOT the next entry in the core dungeon crawling, puzzle heavy Zelda series. One thing the Dynasty Warriors games are known for is having multiple characters to play as. Link can’t possibly be the only warrior in this game. Crossing my fingers for more characters. Imagine being a Goron, or Zelda, or maybe even Midna! It could be one big Legend of Zelda reunion! More was shown for Yoshi’s New Island, and Iwata revealed that the original creator of Yoshi’s Island, Takashi Tezuka, will be assisting the development team with making this game. Kirby Triple Deluxe was shown, and now Kirby has the ability to inhale way more object than usual to clear the way, or move large and/or heavy objects that may act as switches. The stages now have a foreground and a background to play through, similar to Donkey Kong Country Returns and Mutant Mudds. Two other minigames were also shown. 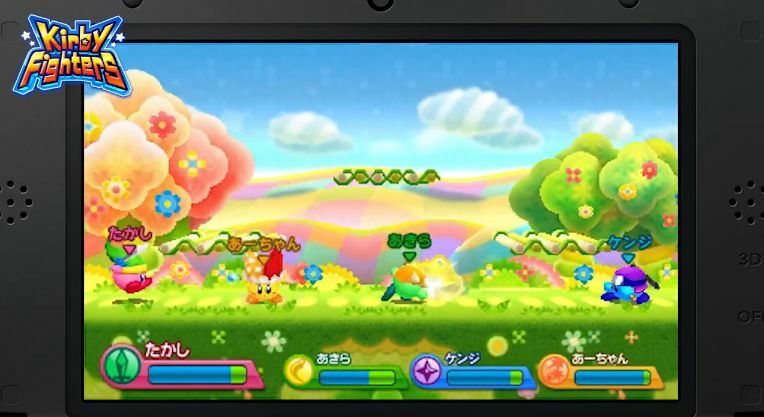 Kirby Fighters is a 4-player battle royale where each Kirby has a different ability, and any player can change abilities should the right one for them show up. The goal of these fights is to whittle down the life bar of the other players. Dedede’s Drum Dash is a rhythm game where Dedede bounces off drums and collects objects to the beat of a song. The songs include classics like Gourmet Race and Green Greens. The Wii U version of Sonic Lost World is getting two new bits of DLC, with only one of them being shown for now. 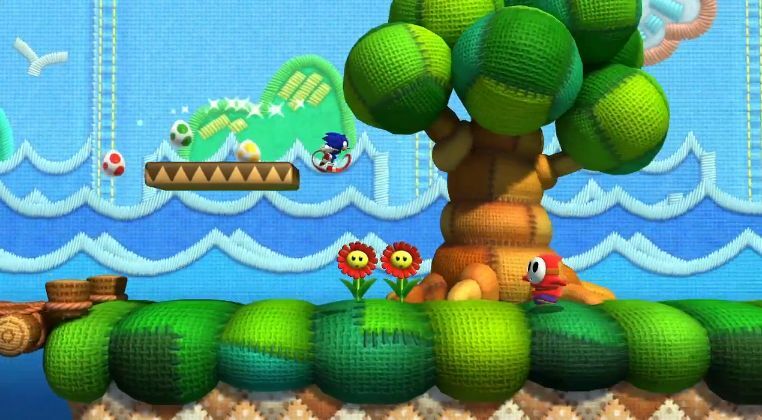 This time Sonic will be running through the world of Yoshi’s Island, called Yoshi’s Island Zone. Sonic has to collect eggs that Yoshi has lost and must bring them to the end of the stage. Much of what was shown has Sonic running in a 2D plane. While this might not seem like a big deal, this pretty much opens the doors for Mario and Sonic to finally share a platforming game instead of aiming for Olympic gold. Iwata stated that the Year of Luigi will be extended into 2014, and with it will be a new Luigi themed game called Dr. Luigi. 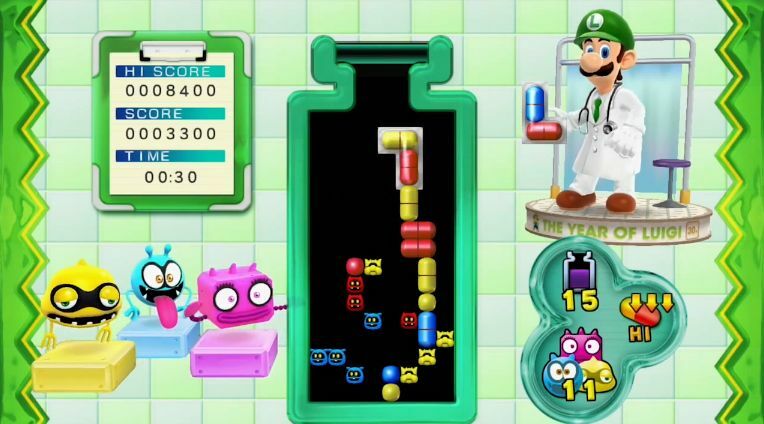 It’s pretty much the same as Dr. Mario, except now the megavitamins will be L-shaped. In multiplayer, instead of sending small pills to your opponent when you do a combo, the next pill your opponent gets will have its colors change at the very last minute before entering play. 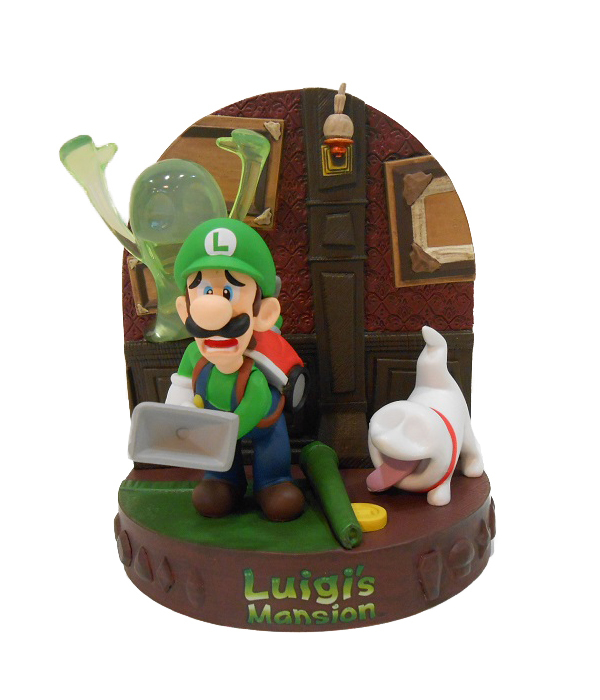 In keeping with the Luigi theme, Club Nintendo members can get a Luigi figurine inspired by Luigi’s Mansion: Dark Moon. It doesn’t come cheap though, and will cost you 1500 Coins. So if you got the coinage, you can get it. While Japan and Europe enjoy Bravely Default, we’ll be getting the game early next year. But before that, we’ll be getting a free demo for the game. But unlike any other demo where you play a very small part of the full game, this will be a full sidestory that will only be seen in the demo. Think Duodecim Prologus, minus the paying for it. Finally, Rosalina was revealed for two upcoming games. First came the reveal that Rosalina will be joining the cast of Super Smash Bros. 4 as a fighter. Her arsenal of moves involve her and her Luma buddy. Her fighting style looks like a combination of Olimar meets Ice Climbers. She can summon a (possibly) random colored Luma, which has its own abilities, and control it from afar using her wand. Rosalina’s inclusion makes her the 5th Mario Series representative to be in a single Smash game (if you don’t count Yoshi since he seems to represent his own series of games). Also, it looks like the Gusty Garden Galaxy theme will be in the game as well. Looks like we’ll finally see why they called Rosalina the theoretical God of the Mario universe. 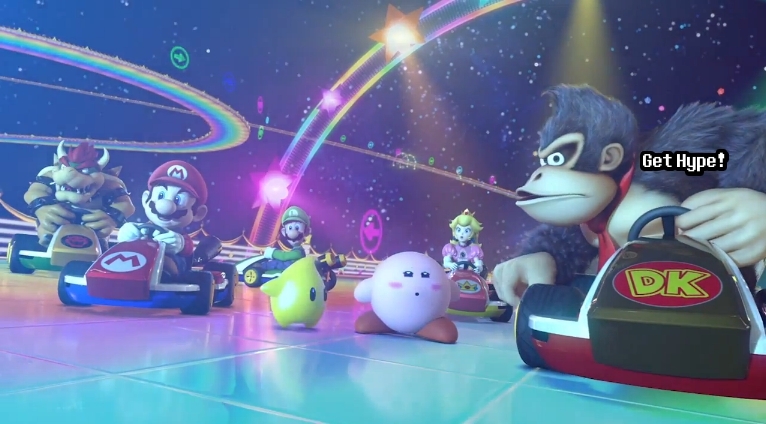 And since Sakurai showed off something Mario Kart themed in the trailer, they had to show some more Mario Kart 8. 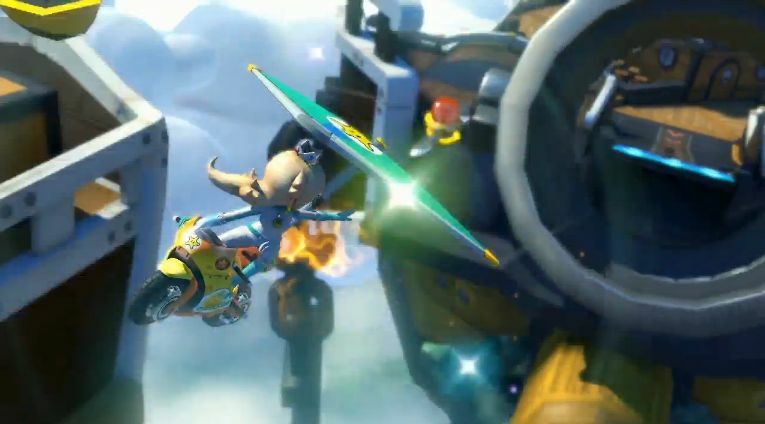 Rosalina is confirmed to be a racer as well in this one. I did skim through some of the games though. Click here to see this morning’s Nintendo Direct in full.